Liverpool boss Jurgen Klopp has been handed a fresh injury concern after Trent Alexander-Arnold withdrew from the England squad for the international break. Liverpool currently sit just two points above Premier League title rivals Manchester City with seven games to go, albeit Pep Guardiola’s men have a game in hand, while they will face Porto in the quarter-finals of the Champions League next month too. 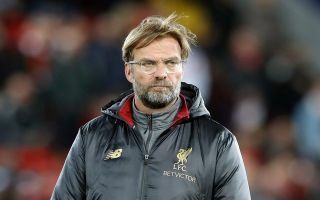 In turn, the last thing that Klopp needs is for injury headaches, which could ultimately influence the title race and adversely impact their chances both on the pitch and in terms of the latest Sports Betting Odds. Alexander-Arnold, 20, has established himself as a key figure for the Merseyside giants so far this season, making 29 appearances across all competitions. Particularly given the lack of quality depth at right back, the last thing Klopp needs is for the youngster to emerge as a doubt due to injury for the crucial run-in after the break. However, as noted on the FA’s official site on Wednesday, Alexander-Arnold has been forced to withdraw from Gareth Southgate’s squad for the upcoming Euro 2020 qualifiers and will instead now return to Liverpool for treatment on a back injury that had troubled him prior to being called up. With that in mind, it remains to be seen whether or not that was a precautionary measure by the England medical staff to avoid the risk of aggravating the problem, which could result in a lengthier spell on the sidelines, or if Alexander-Arnold could now be a doubt and requires further rehabilitation on the issue. Liverpool face Tottenham in a crucial showdown at Anfield on March 31, and they will be desperate to avoid being without their first-choice right back for that encounter to ensure that they protect their advantage over Man City in the coming weeks. Klopp has seen his side return to form with three consecutive wins across all competitions, as previous to that they had stumbled after dropping points against Everton, Manchester United, Leicester City and West Ham United. In turn, as they continue to now build up momentum, sustaining injury blows will force Klopp into an unwanted reshuffle in his line-up, and particularly at this level both domestically and in Europe, they can ill-afford to be concerned about potential vulnerabilities in their XI.